Jazz music has a plethora of fans. If you want to organize a party, which will attract a capacity crowd you need to decide in favor of jazz party. 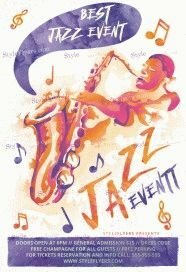 We have a special online listing, which will combine all our printable samples, which relates to the jazz music. 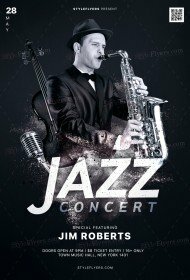 You can take a look through our Photoshop files and buy jazz flyer PSD templates for your events. 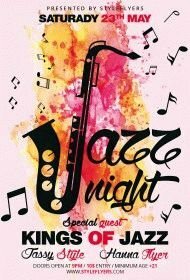 Jazz is a multifaceted music genre so we try to create a different flyer for sale, which can convey a sense of different jazz parties. 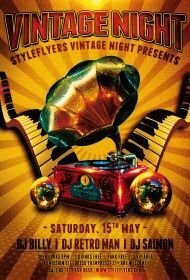 Each day our designers will try to create a new jazz flyer for your liking. 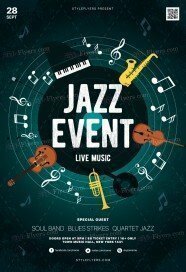 Watch for our updates and buy jazz flyer template. We try to embellish our flyer with objects that will capture your mind and be related to jazz music. It’s very important to make a perfect balance of quality and creativity. 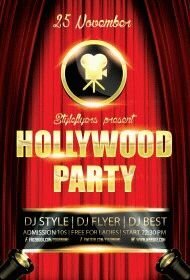 If you want to change some details, colors, text, just use our easy customization and create a perfect flyer for your event. Our premium jazz flyers templates are your opportunity to promote your party and make your club more successful. 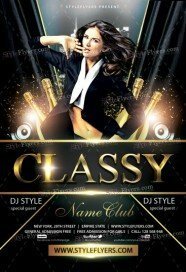 We can guarantee that our flyers have a unique design, well-organized structure and high quality Facebook cover.